He recently added to his arsenal of condiments with 'Sriracha mayo'. And it turns out most brands of Sriracha mayo are vegan! I was so thrilled to hear this we decided to immediately put it to use. The result was the gorgeous stir fry sauce in this recipe: savoury, tangy, sweet, hot.. my mouth is drooling just thinking about it. I went out shopping and texted him about which vegetables to accompany the sauce. “Long broccoli and little sweetcorn” was the response. I found this to-the-point description rather adorable (he's in his mid-twenties) but did agree with his choice: 'long', i.e. tenderstem broccoli (or broccolini in the US) and 'little' i.e. baby sweetcorn are two quintessential examples of the perfect stir-fry vegetable. They are the perfect shape and size for eating with chopsticks. Thrown into a hot, oiled wok they acquire blistered, caremalised patches on the exterior and retain their crunch well. Before I was obsessed with cooking, stir-fries still featured in my diet. However, they were more of a soggy swamp of pre-cut veg, cooked for way too long on a tired weeknight. I like to have a serious geek-out when learning a new cooking technique, and until I did this for stir-frying, I didn't realise the importance of not overcrowding the wok. What happens is the water in the vegetables evaporates, hits the veg above it, condenses back into water and creates a watery sort of stock at the bottom of your wok – while also steaming the vegetables to a mush. So how do we avoid this? Batches. Batches batches batches. What you must do is cook each vegetable separately, transferring to a tray at the side when done, then combine everything at the end. Everything will be crisp, crunchy and perfectly cooked. Another great tip I've picked up is when to add aromatics such as ginger and garlic. A lot of people add these at the beginning, as with a curry or risotto, but it's the opposite here. Your ginger and garlic are chopped so finely they'll cook in no time. They would burn if added at the beginning and introduce an acrid flavour to your oil. Add these at the end and they won't burn and will keep their fresh, vibrant flavour. Without aromatics your stir fry won't taste well-rounded but rather flat. 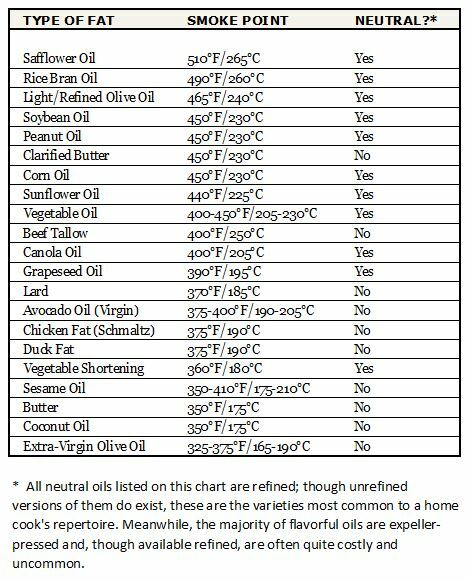 Lastly, a word on which oil to use. If you eat stir-fried food in a restaurant or from a street vendor, they'll be using a wok burner, some of which look like they could power a rocket. It is an unspoken truth that the chef will absolutely ignore an oil's smoke point, concentrating on cooking that food as quickly and viciously as possible. I'm not saying I wouldn't eat the food they serve. Everything in moderation. What I'm saying is it's up to you how high you take your heat. I used groundnut (peanut) oil, and found you can make a great stir fry without going over it's smoke point (232C), and that's what the timings are calibrated for in this recipe. I used my infrared thermometer (which I'm a really big fan of – this is the one I use --> UK / US) to measure the temperature of the oil. Also, here's a handy list of smoke points. And if you have no idea what I'm talking about, here's a summary of what a smoke point is and why to pay attention to it. However, if you don't care about smoke points and are after that authentic, street-food incineration, go ahead and crank your heat up to max – though you'll need to reduce my timings slightly. In a small mixing bowl, thoroughly whisk all the sauce ingredients together with a fork or whisk. This can be done in a blender but is easier in a bowl. Rinse the rice. Place in a saucepan with double the amount of water. Bring to a boil and simmer gently for 20-25 minutes. Toast the sesame seeds in a pan over a medium-high heat for 5 minutes or until slightly brown and fragrant. Set up your stir fry station. Put two baking trays next to your wok. Have all your veggies and a timer at the ready. Heat 2 tsp oil in your wok over a high heat. Add half of the broccoli and stir fry for 3 minutes, tossing the wok or moving the broccoli around with a wooden spoon. After 3 minutes, transfer the cooked broccoli to the baking tray. Repeat with the remaing broccoli. Heat 2 tsp more oil in the wok and stir fry the baby sweetcorn for 3 minutes. Transfer to the tray. Heat 2 tsp more oil in the wok and stir fry the onion for 2 minutes. Transfer to the second tray. Heat 2 tsp more oil and stir fry the peppers for 2 minutes. Transfer to the second tray. Heat 2 tsp more oil and stir fry the sugar snap peas for 1 minute. Move the peas to the side of the wok and add the ginger and garlic. Leave to fry for 90 seconds, then stir the peas, ginger and garlic around, stir frying for 2 more minutes. Transfer all the stir fried vegetables from the trays back into the wok. Heat everything back to piping hot. Add the sauce and heat for 1-2 more minutes, tossing the vegetables around so everything is coated. Drain the rice and divide it between warm bowls. Pile on some vegetables and garnish with sesame seeds. *the quantity of sauce in this recipe is a lot. That's because it's up to you how much you use: if you'd like a light coating so as not to obscure the flavour of the veg, use half (the other half will keep well in the fridge). If you like your stir fry dripping with sauce and seeping into the rice below, use all or three-quarters of it. N.B. the above links to the infrared thermometers are affilate links. This means I will receive a tiny commission if you purchase through them (at no extra cost to you) which will be put back into creating new content for this site.